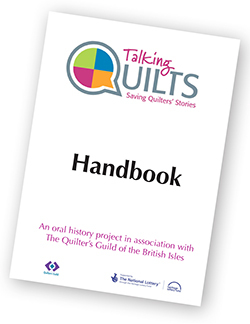 Talking Quilts developed a Handbook that gives advice on how to conduct an oral history interview, photographing and transcribing interviews, as well as more information about the Project and how it was delivered. The Handbook has constantly evolved as we learnt valuable lessons from our volunteers and interviewees. Along the way we have also sought the advice of oral historians and, higher education, information management and museum professionals. 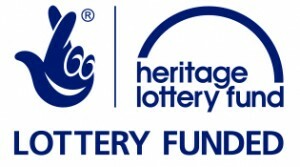 Therefore the information provided in the Handbook has been tried and tested, creating a template that we hope can be used and adapted by anyone who is interested in oral history interviewing. Please note that the Handbook is published in the format that was used when the project was “live”. 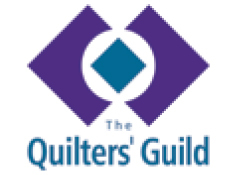 You may wish to substitute references such as “obtain an ID number from Talking Quilts Project Manager by phone or email” with your own ID numbering system or nominated project manager or contact person.